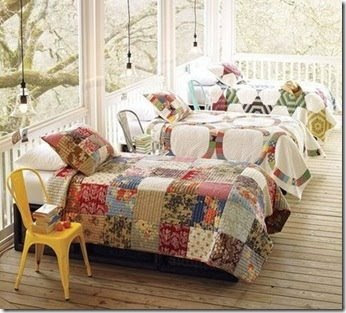 Swanky Digs: And Then I Would SLEEP on My Porch. ... after some rousing games of Connect Four, I could settle in for a good snooze! Yes, I think my house should have a screened-in porch. Via Apartment Therapy.